Samsung is equally at home in your kitchen as it is in your smartphone, living and bed rooms. What better way to demonstrate this than in their home appliance lineup that includes the Food ShowCase Refrigerator, the Samsung Air Conditioner, Activ DualWash and the Samsung Smart Oven. 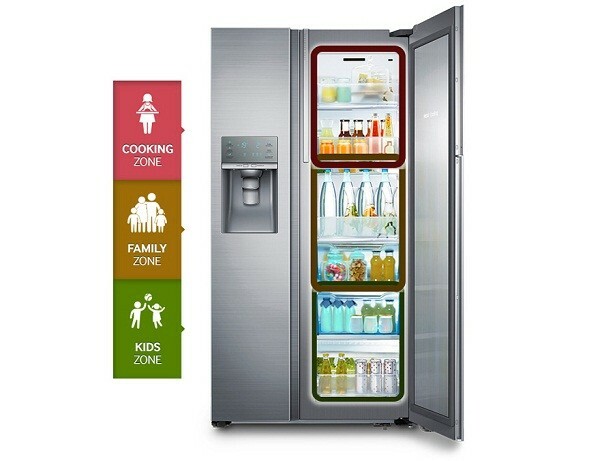 The Food ShowCase Refrigerator’s innovative design provides smart separation in the refrigerator area. This by using the concept called Showcase for easy access to your frequently used items and InnerCase for longer storage required ingredients. The ShowCase is designed to make organizing and consuming food as easy as possible for every member of the household. Once opened, users can find what they want with just one glance after opening only the exterior door of the refrigerator. Four times bigger than a conventional home-bar, the instant access to store foods, snacks and drinks is now possible. For larger and longer storage of fresh ingredients, the InnerCase will provide that function. But why should your food get all the coolness? The new Samsung Air Conditioner is engineered to deliver exceptional cooling, comfort and hygienic benefits with a striking triangular design. This innovative design allows for a wider inlet, wider outlet and bigger fans. Its unique compact exterior profile triangular design delivers improved performance by circulating cool air faster, farther and wider. The Samsung’s Digital Inverter Technology provides significantly greater energy efficiency and an improved air conditioning experience. So say goodbye to allergens such as dust, contaminants, allergens, bacteria and viruses, as the super-efficient Samsung Air Conditioner removes them all, making you breathe easy again. Keeping those curtains clean would most certainly help in keeping down the dust levels. 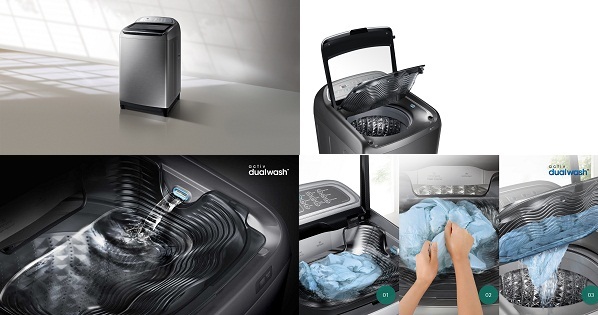 That’s why Samsung’s Activ DualWash allows consumers to handle the entire wash process in the laundry unit instead. So no more spreading your laundry over multiple locations thereby avoiding a mess and saving considerable effort! The built-in sink with water jet and gentle scrubbing surface that provides a convent space to pre-treat tough stains, heavily soiled sports uniforms or hand-wash items like delicate sweaters. But after all that washing, you must be hungry. 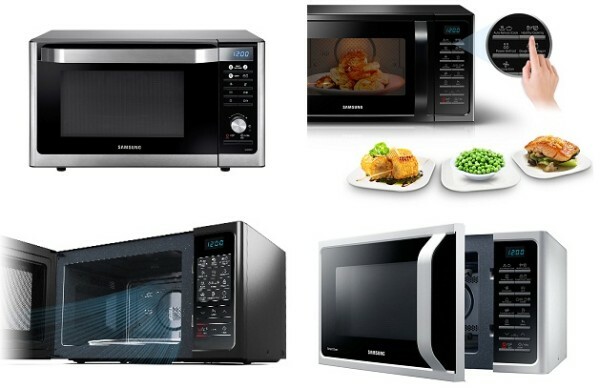 Samsung has you covered here this Christmas with Samsung’s new Smart Oven. This internet connected oven has a large capacity oven capable of cooking a large family meal but is compact in size and is energy efficient. This Samsung Smart Oven is so clever that you can prepare preparing healthy, great-tasting meals at the touch of a button. The built in Slim Fry technology to cook crispy, fried-style food using only a tablespoon of oil will have those watching their waistline pleased. By combining a grill with warm air circulation, less oil is used and the food taste great sans the deep fat frying, using 82% less oil. So with all these Samsung Gadgets this Christmas, you’re sure to please everyone, from the smartphone-toting crowd to those who like their own entertainment to the Kitchen gadget lover!